Successfully Added Hystou FMP03 Barebones Mini PC - i5-5250U Processor, 16GB RAM, 256GB Memory, SATA Support, Licensed Windows 10, Wi-Fi to your Shopping Cart. This Hystou FMP03 barebones takes fanless mini computing to the next level. Powered by Intel Core i5-5250U CPU and baoasting a massive 16GB of DDR3 RAM it has a perofrmance that wills urely impress. 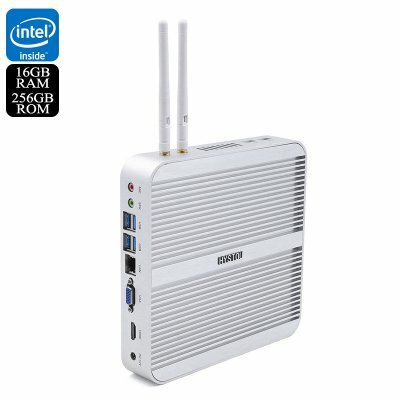 Wether you're playing online games such as Warcraft or Counterstrike, or whether you're wanting to stream 4K video this mini computer is able to do it all. It has a metal body designed to promote passive cooling allowes it to do away with a noise fan. This means that there are no distractions when playing game or watching movies. Simply connect this mini PC to a monitor, keyboard, mouse and speakers to have a complete desktop computer setup or connect to your TV for an awesome TV box. There are ports for HDMI, VGA, mic, speaker USB and SATA so you can connect all your peripherals and have loads of storage options. 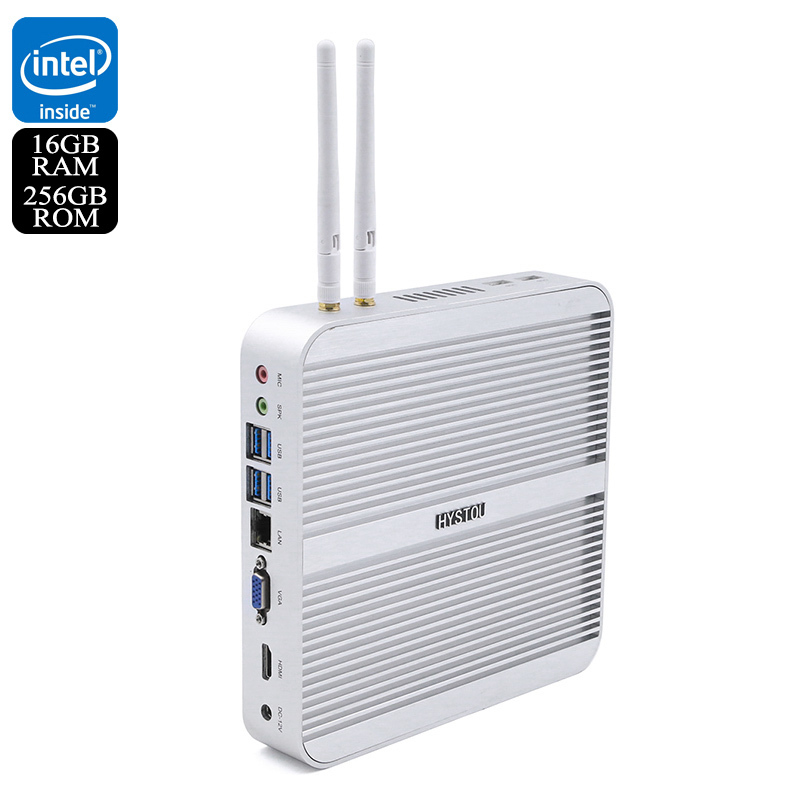 This makes the mini PC an ideal setup for any home or business and whats more it comes with 256GB of onboard storage and has a licensed version of Windows 10 running so its ready to go direct from the box. This Windows mini PC comes with 12 months warranty, brought to you by the leader in electronic devices as well as wholesale min computers and TV boxes..